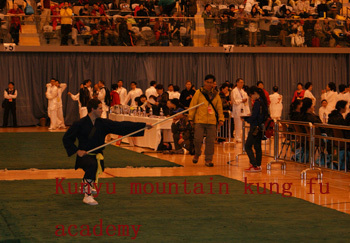 ﻿ The competition 2013 we took part in. 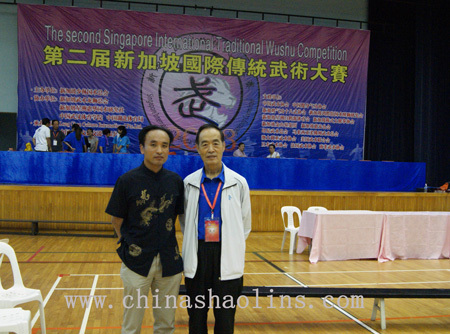 In August 2013,School master was invited International Shaolin martial arts competitions in Singapore as judge. 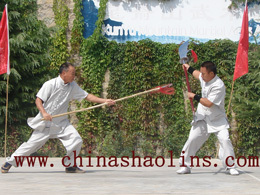 Master Guo with the former chairman of China martial arts Association. 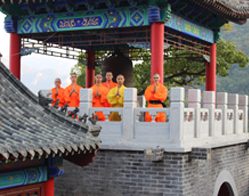 The team are in opening ceremony. 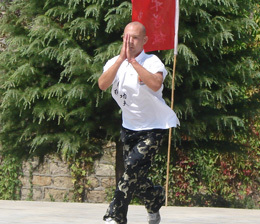 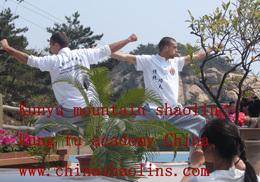 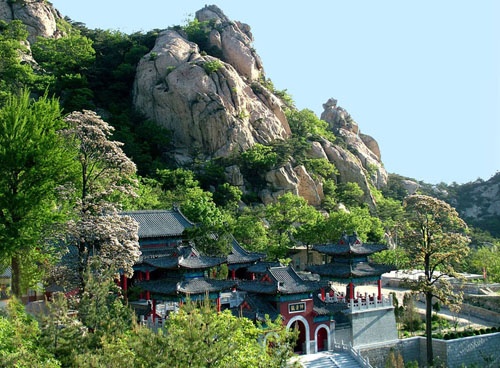 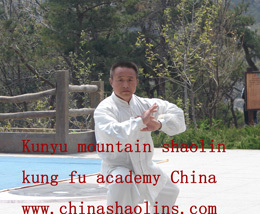 In Sep 2013,we held the big Chinese Shaolin Kung fu performance show performed by Chinese masters and some students of Kunyu mountain academy which held every year,and finished successfully. 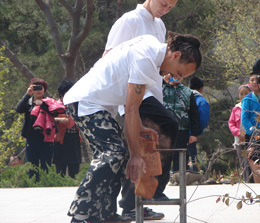 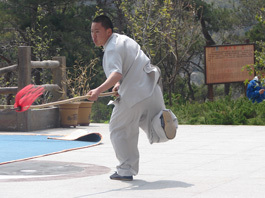 Master performing to break the flagstone into two pieces by back head. 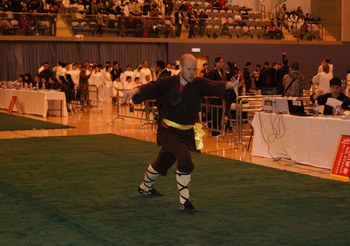 Student performing. 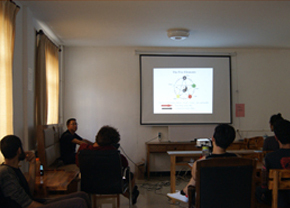 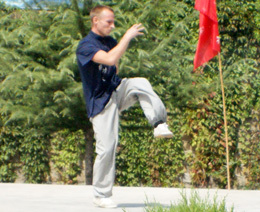 The students showed applications and form. 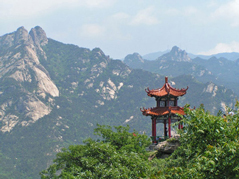 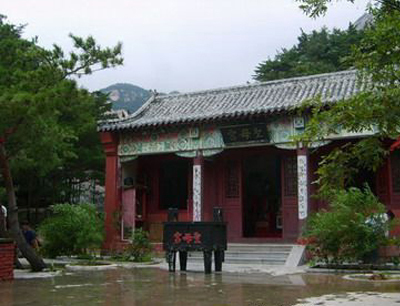 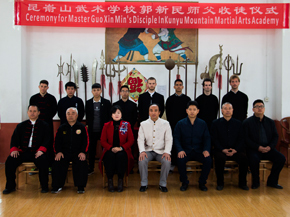 In May 2013,our masters and some of the students performed Chinese martial arts for "Spring Outing Festival" that held by Kunyu mountain Daoism Temple we located.Some masters and students of Kunyu mountain academy took part in this Performance,and finished very successfully. 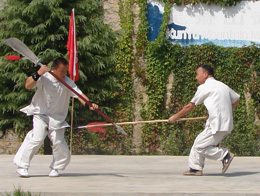 Masters doing traditonal kung fu forms and weapons during this performance. 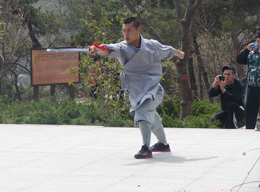 Students performed sword. 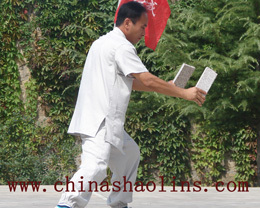 Student performed Chi kung to break the two bricks. 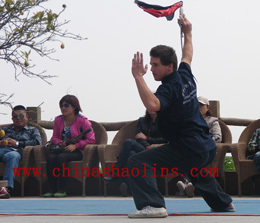 The students and master perform shaolin martial arts for "Spring Outing Festival". 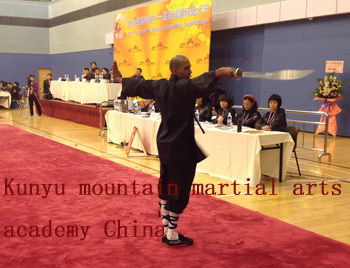 The 11th Hongkong international Shaolin Martial arts championship help in Ma On Shan Sport Centre. 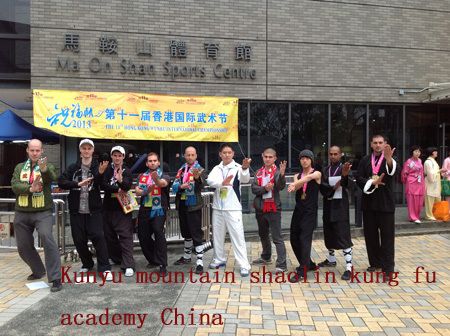 From April 5 to April 9 2013,we sent some of students to take part in Hongkong international Martial Arts Festival alonging with,and completed the competitions successfully and achieved excellent records and Gold medals. 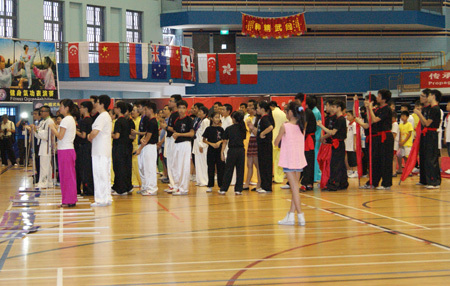 The students achieved excellent records and Gold medals. 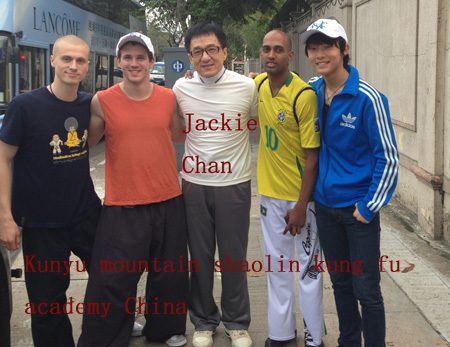 Students and Famous Kung fu Star Jackie Chan in Hongkong martial arts competitions. 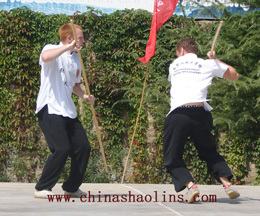 Students performed shaolin weapons (staff) in Hongkong martial arts competitions. 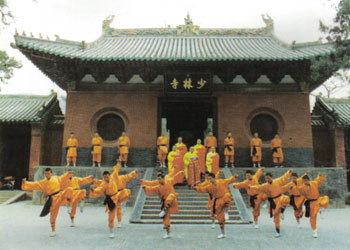 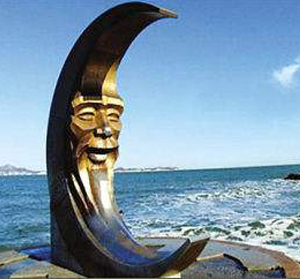 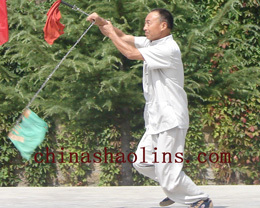 Students performed shaolin weapons (sword)and fist forms in Hongkong martial arts Champion. 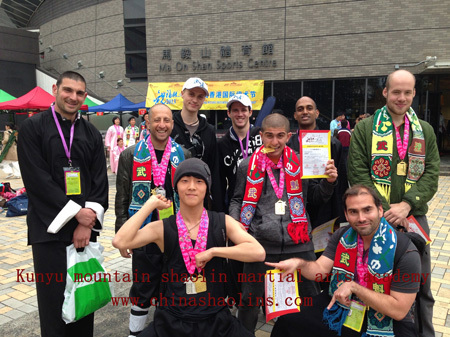 The students got very good record and gold medaland certificate from the competition in Hongkong.